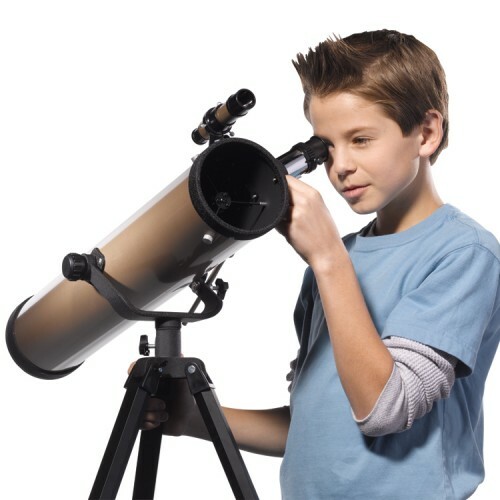 The GeoSafari Omega Reflector Deluxe Telescope by Educational Insights offers rugged portability and a trip to the distant stars for the avid young astronomer intent on detailed, deep-sky viewing. 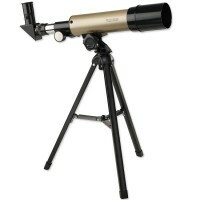 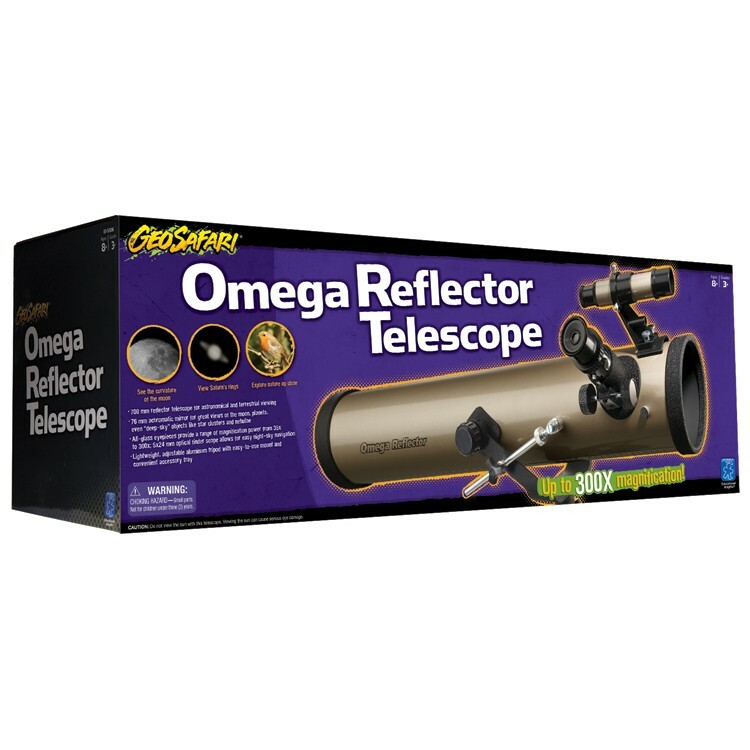 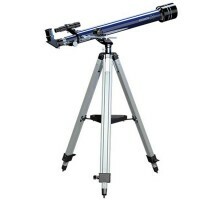 GeoSafari Omega Reflector Deluxe Telescope is a superb telescope for young and adult backyard astronomers. 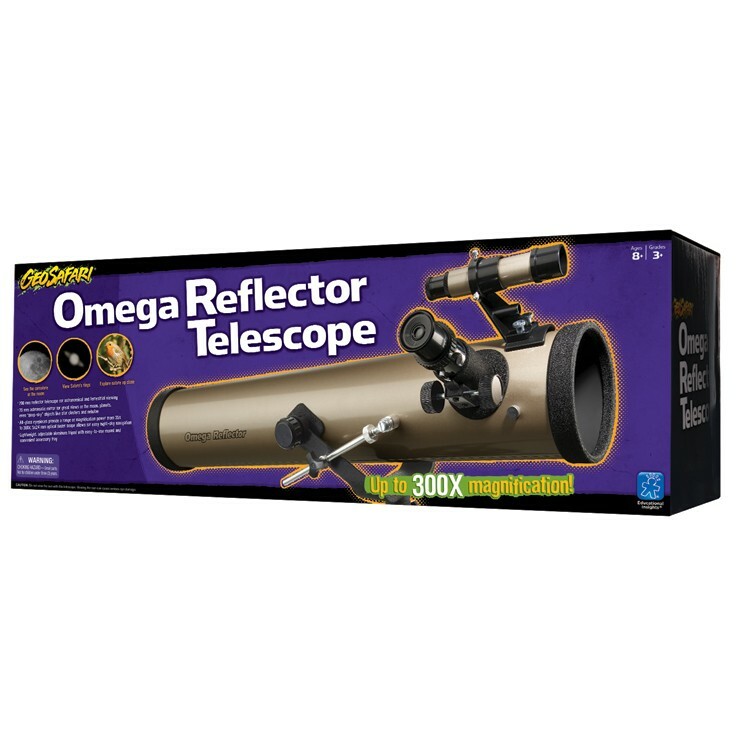 The GeoSafari Omega Reflector Deluxe Telescope by Educational Insights offers rugged portability and a trip to the distant stars for the avid young astronomer intent on detailed, deep-sky viewing. The powerful 76mm reflector scope from Educational Toys Planet boasts 3 all-glass eyepieces providing a range of magnification power from 35x to 300x, which is a lot for a kids telescope! 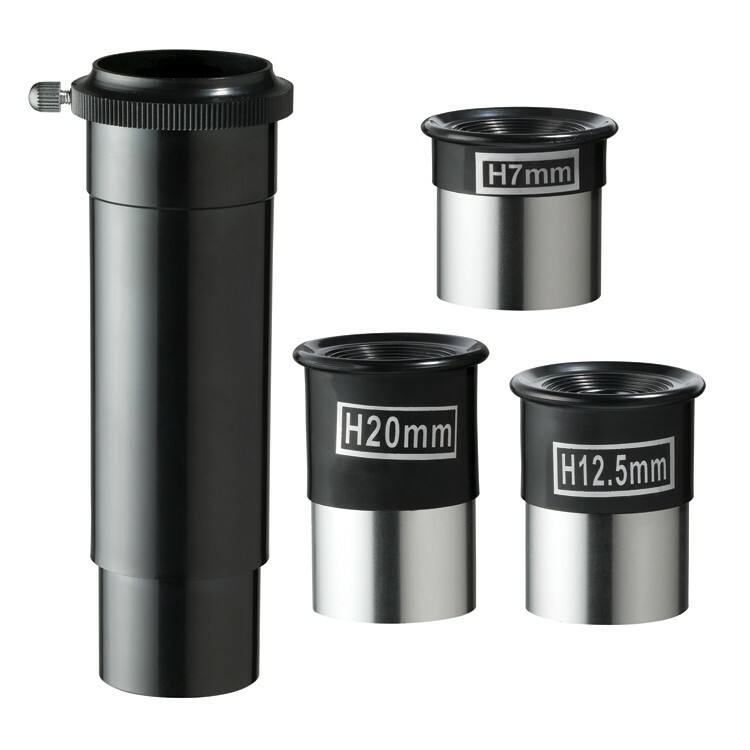 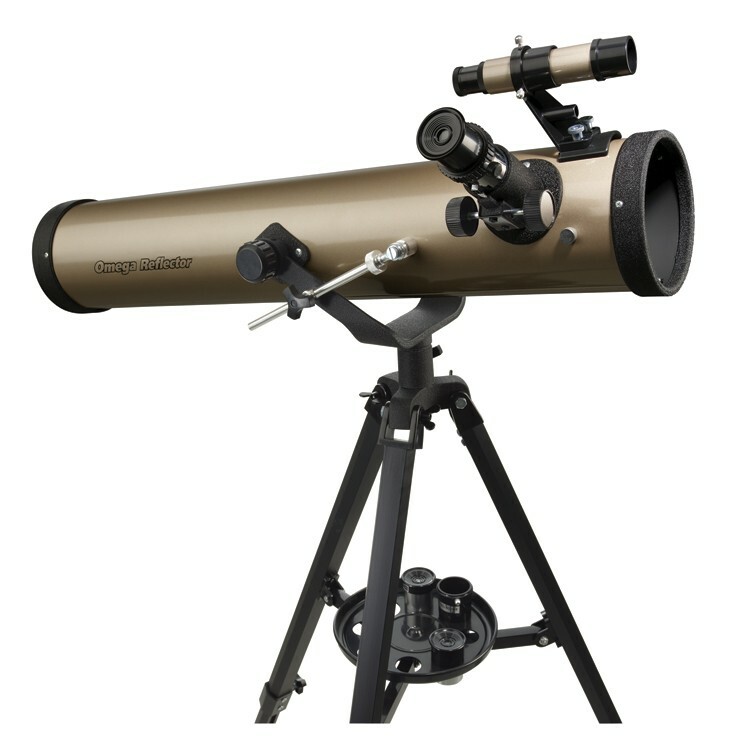 The 5 x 24mm optical finder scope and 76mm achromatic mirror offer amazing close-up views of the moon, planets, Milky Way, and beyond. 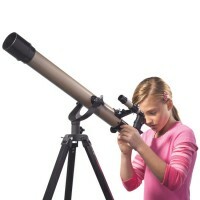 Observe constellations, star clusters - even the Orion Nebula! 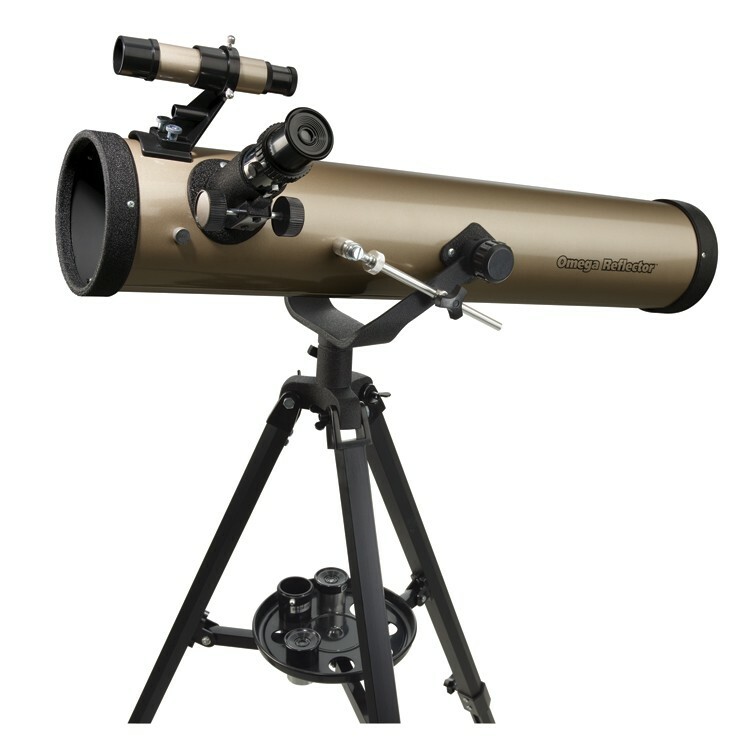 The GeoSafari Omega Reflector Deluxe Telescope has also these high-quality components: heavy-duty, full-size adjustable tripod with accessory tray, standard 1.25 inches interchangeable eyepieces, a 3x Barlow lens, and an image erector for viewing terrestrial subjects. 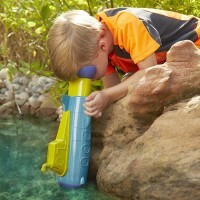 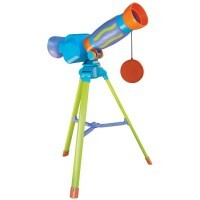 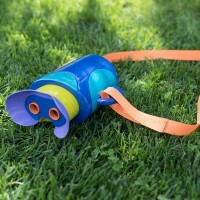 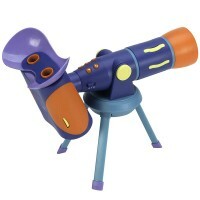 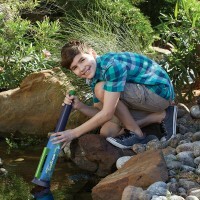 This GeoSafari Omega Reflector children telescope will give you a really deluxe viewing of space! 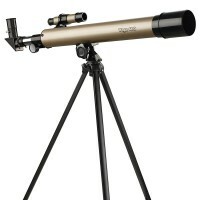 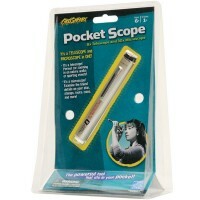 Dimensions of package 28.4" x 9.1" x 10.1"
Write your own review of GeoSafari Omega Reflector Deluxe Telescope.